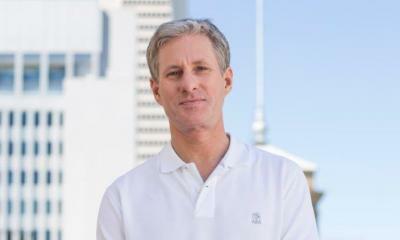 There is a specific reason why cryptocurrencies were created: speed, security and control. Think about it for a moment. When you have a proven cryptocurrency like XRP, you get a mix of speed, security and control. It’s not your ordinary cross border SWIFT type of speed. Here I’m talking about transactions being settled in matter of three or four seconds at most. We have seen this happen from time to time and you can read about our recent post when Western Union made use of XRP and xRapid to send money from the US to Mexico. Not only was it beneficial for the company but the level of satisfaction from the customer was incomparable. Now, seeking to reap the same benefit is Wirex. Wirex is simply a conduit that will allow a user to interact between fiat and crypto currencies via a secure 3D debit card. What more? 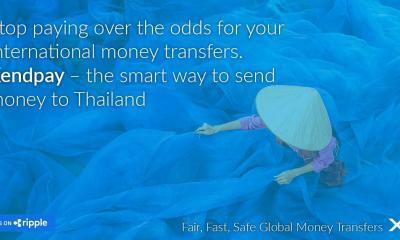 The card is supported by more than 40 million merchants in more than 200 countries across the globe. As long as you own XRP, you can easily deposit as long as the company has operations within your jurisdiction. If not, then you can purchase XRP and since there is a new XRP wallet integration in Wirex, you can easily make deposits and that’s the efficiency I’m talking about. 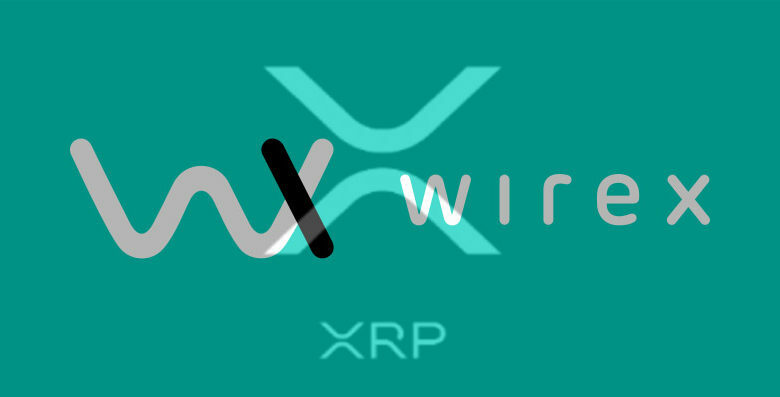 With Wirex, you can spend your XRP like fiat meaning you can pay for stuff at point of sales as long as it supports the Wirex card. That’s not all; you can link your Wirex XRP wallet to your debit or credit card and enjoy a host of other benefits more so if you are within the Europe Economic Area (EEA) and have a verified account. 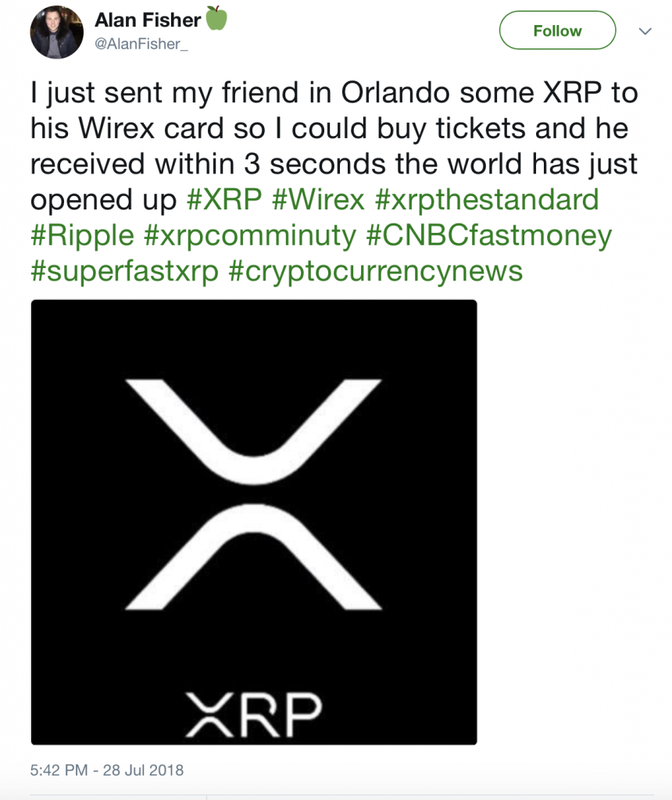 While the integration of XRP wallet happened less than three weeks ago, XRP is impacting people lives. 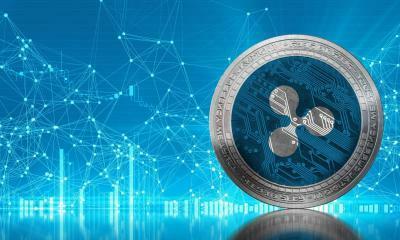 Fact is, the card provider said in less than 12 hours after making public their support of XRP, $2 million worth of XRP was deposited to their XRP wallets. 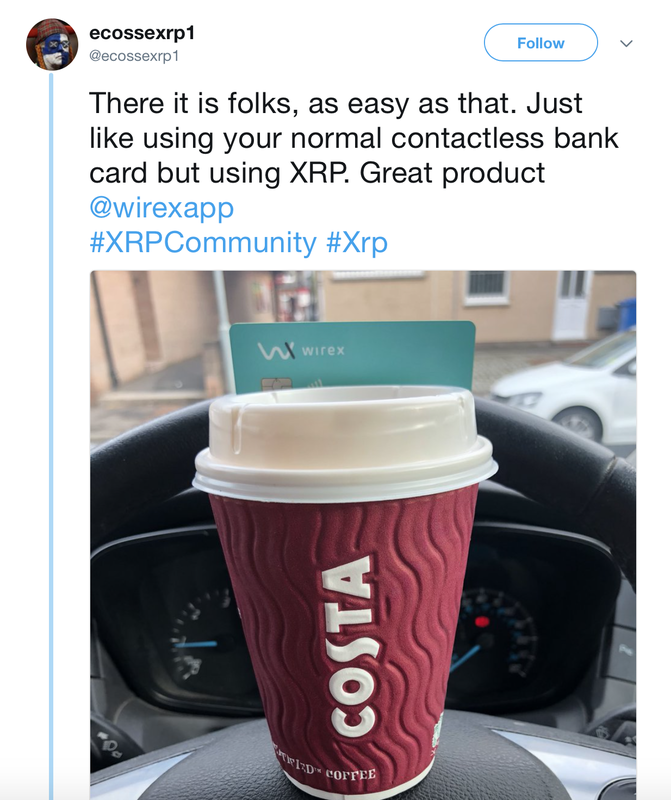 By paying coffee using XRP, a user said using XRP was great and it is was just like using your contactless bank card. Cross border settlement is almost but immediate. A user could send XRP to Mumbai and since settlement is almost instantaneous, his friend bought coffee using received XRPs.